Sunday. 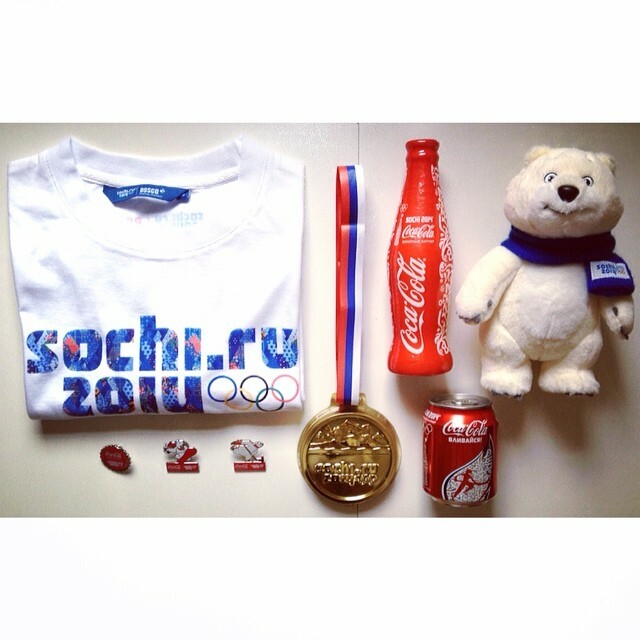 Sochi souvenirs. Curiously enough, Coca-Cola and Fanta first came to the Soviet Union as the official beverages of the 1980 Moscow Olympics. The Coca-Cola Company was able to sign its contract with the Soviet government before the United States called for the whole world to boycott the Games.